Converting images to text with custom fonts. 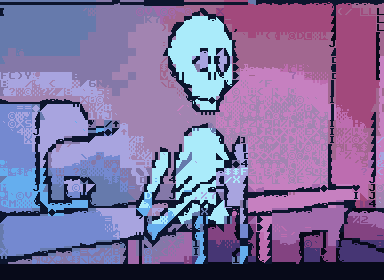 I've been mucking about with JP LeBreton's edscii http://vectorpoem.com/edscii/ . 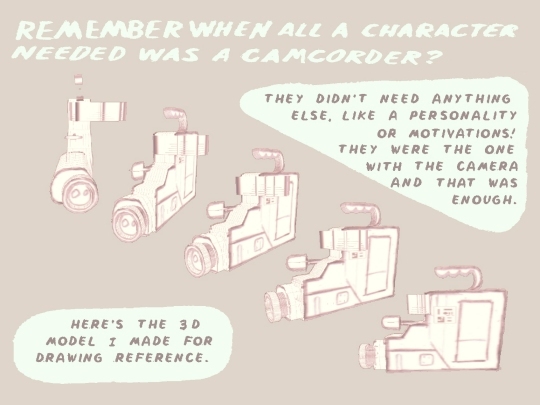 there's also a successor called playscii http://vectorpoem.com/playscii/ . I've been auto converting images with a custom font. Clicky click the dolphin has found a coffee shop where they can show their artwork. The only problem is that the coffee shop is in a working dungeon! 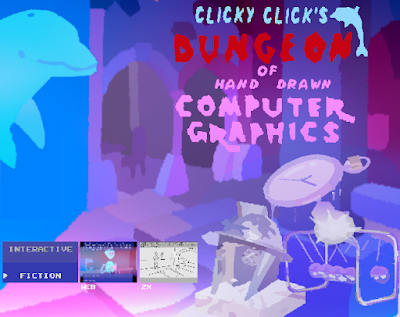 Clicky click's dungeon is one of those short illustrated interactive fiction jobbers. you will be able to play in a browser for free. A downloadable ZX Spectrum version will also be available. Those downloading the spectrum file will be prompted to make a donation, but the donation can be zero. The release coincides with an art show that the game will be part of with an event on the 10th November at cmr. Those unable to attend will be able to get clicky click's dungeon online. hi everyone. 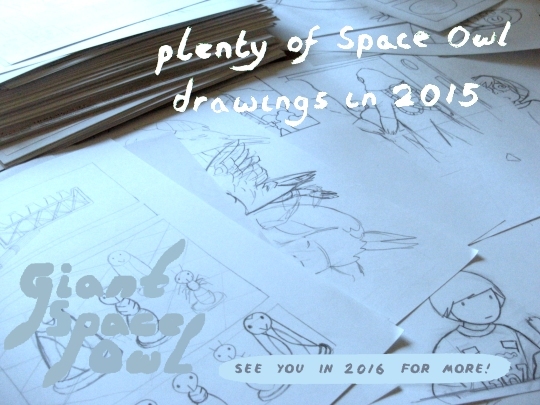 The last time I put up pages of giant space owl for you to read was in july 2016! I really thought at the time it take a couple of weeks to finalise the plot points I needed and a couple of months to build a small stockpile and that I'd be updating again. that didn't happen. I have been working on scripts and rough versions over the last few months though. I've got as far as I can with the scripts without artwork. The scripts have to work with the art and my roughs are too rough! So I'm working on art and then I'll finalise the scripts. so at the moment I'm building models and sets for the new locations. I can't say when I'll start updating the comic again but progress is being made.